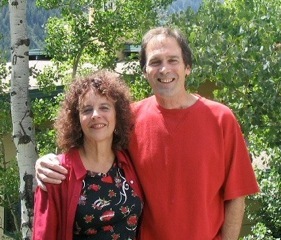 Michael August and Nell Levin formed the “formidable” (Nashville Scene) Shelby Bottom String Band in 2008. Shelby Bottom Duo continues the band’s tradition of entertaining, irreverent social commentary, humanity and humor. Their repertoire includes originals like “East Nashville Rag”, the title cut of the band’s CD, “Displacement Blues”, named by the Tennessean as “Nashville’s newest social justice anthem” and “Fat and Bald”, an audience favorite about life’s unintended consequences. They also delight listeners with some obscure, quirky songs that deserve a wider audience. Nell and Michael have performed on the stage of Nashville’s historic Ryman Auditorium and at many venues, festivals, house concerts and benefits for environmental, community and social justice organizations. They are currently touring their Musical History of Joe Hill and the Early Labor Movement show around the South and released a companion CD, Joe Hill Roadshow, in October 2016. The Duo are the recipients of the 2014 Metro Nashville Arts Commission THRIVE funding and three Puffin Foundation grants, as well as Humanities Tennessee and Metro Nashville Arts Commission THRIVE funding in 2017 for their Musical History. They have received funding from Tennessee Arts Commission for the 2017-2018 tour of their Musical History. Michael August has been a programmer on Nashville radio station WRFN for 10 years. He is a songwriter and has been the lead singer and rhythm guitarist of Shelby Bottom String Band for 7 years. He has also played as a solo artist. Nell Levin has played with Americana artist Tom Roznowski, Buffalo Gals, Cadillac Cowgirls, Goldrush and bluegrass pioneer Earl Taylor. She was voted Most Promising Female Songwriter by Tennessee Songwriters Association. She was the primary songwriter, fiddler and back-up vocalist for Shelby Bottom String Band for 7 years.